Charming and quirky touches make this home a real treat.Electric blankets on all beds, warm feather duvets and heaters in every room.Plenty of firewood and coal to keep the fire crackling. Books, cards and games are there to enjoy. A separate laundry incorporates a drying room with thermostat controlled heat and humidifier to dry out those boots and thermals for the next day. A destination that can be enjoyed winter or summer. The large decks surrounding the house perfect for summer bbq's and outdoor bean bags. Sliding stacker doors that open up the whole house to the sun. We know how early those ski mornings can be to get that No 1 Carpark so we are happy to oblige late leaving by arrangement. Come and enjoy the peaceful country feel and laid back New Zealand environment of Rangataua only minutes from the hustle of Ohakune! There are two mattresses that we make available if required to sleep 8. The house sleeps 6 in beds. We prefer to keep our maximum as 6 and only accept extras if they are small children. We can make linen available for $10 per bed if required.Duvets and blankets supplied. Great property love coming back here for the last couple of years. Perfect family location. Quiet but still close to town and the skifiled. Her home is lovely and in an easy to find location. Her home is lovely and in an easy to find location. We loved the snow sport medals and trophies and had a very enjoyable time there. We stayed at this home whilst completing the Tongariro Alpine Crossing and its handy location and low cost made it a great find. The house was very warm and clean when we arrived and had a large and private deck to enjoy food and drinks on in the sun. We would definitely recommend it to anyone wanting to visit in wither summer or winter. 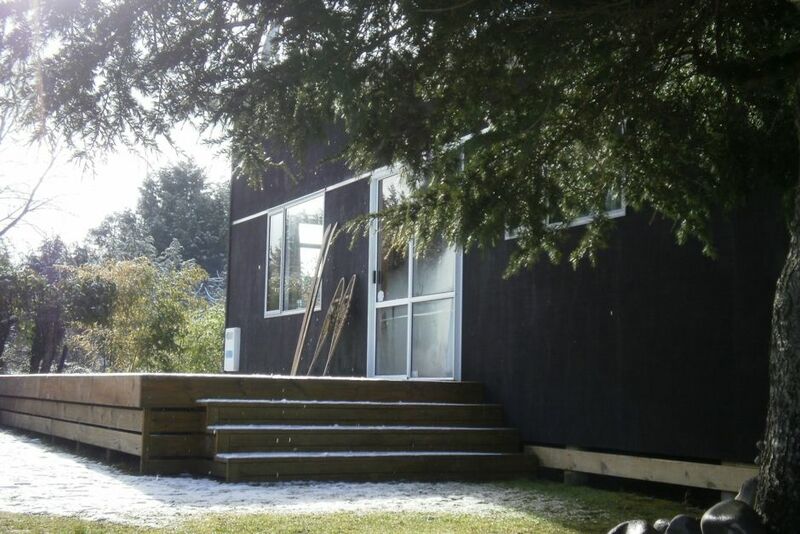 Very comfortable bach close to Ohakune amenities and ski area. Very comfortable bach close to Ohakune amenities and ski area. Spacious inside and kitchen is well equiped. Will definately want to return and this worked very well for our family.